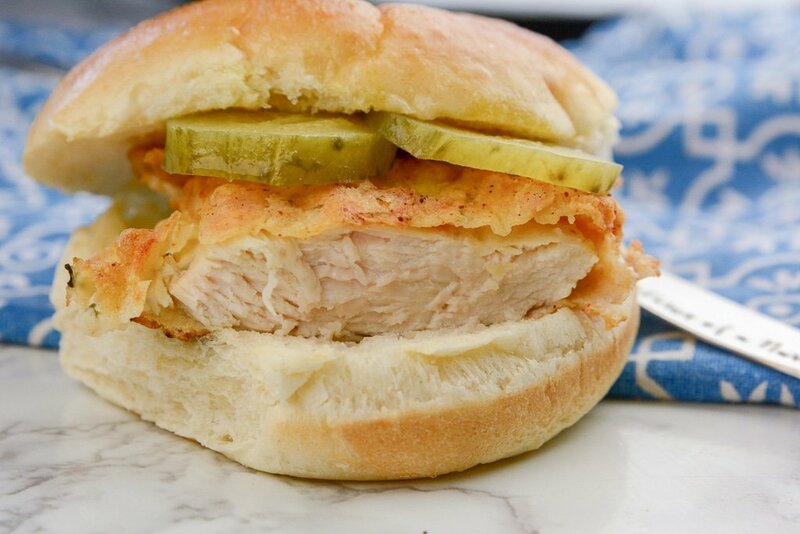 Skip the drive-thru line, and make your own Copycat Chick Fil A Chicken Sandwich! I made a Ninja Foodi and Air Fryer Chick Fil A Copycat Chicken Sandwich and it was better than the real deal. Juicy tender chicken that is coated in a crispy batter, that leaves you wanting one more bite! 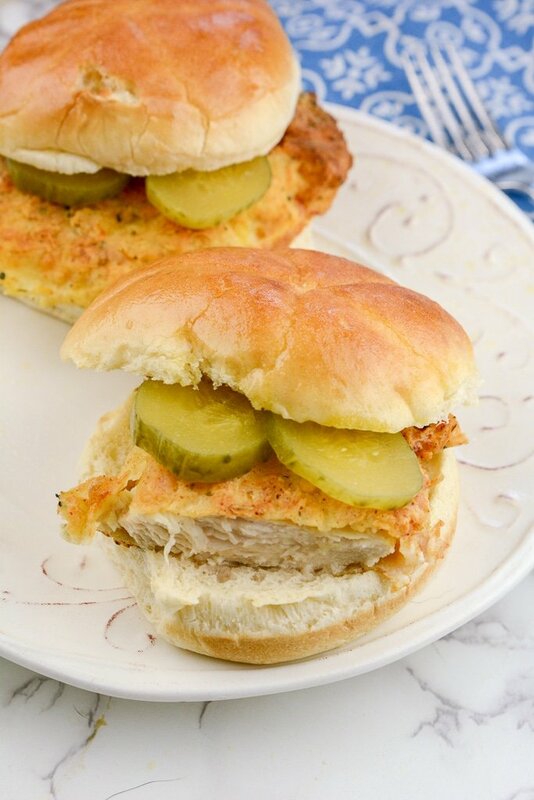 Load your sandwich with pickles, sauce, and sink your teeth into this glorious chicken sandwich. Best of all, you don’t fry it like the traditional sandwich is. The Air Fryer will crisp it up by hot air, so you get that fried taste without any of the grease! The Ninja Foodi helps tremendously to preserve the chicken so it is nice and juicy when you go to serve it. I love using it for the air frying portion, so I don’t have to pull out a pan of oil to fry the sandwich. If you are looking to cut out empty carbs this is a great way. So if you own an Air Fryer or Ninja Foodi this recipe is a must make! Probably the best recipe I have tried to date! I did get inspiration for this recipe from By_Pink Chick Fil A Nuggets. Does Chick Fil A dip their chicken in pickle juice? Yes! This is their trademark flavor, chicken that is soaked in pickle juice that has taken the world by storm. It helps to tenderize, flavor, and keep your chicken nice and juicy while it cooks. 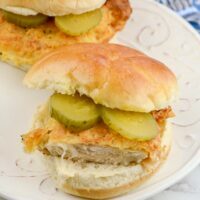 How long do you marinade Chick Fil A Chicken Sandwich in pickle juice? You can marinade your chicken as little an hour or up to 8 hours. I did mine for just one hour, and it worked great. So if you want to make this chicken for dinner you could prep your chicken and place in a sealable bag and toss in the fridge to soak. When you get home to pull it out and prep and cook your sandwich. If you have leftover sandwiches, toss them in the fridge for up to three days. I will say the breading on the chicken will not be crispy like day one but the flavor will taste fantastic. I do all types of sides with my sandwiches when I make them. Go-to is french fries or homemade coleslaw, but you can easily pick and choose what fits your tastebuds! 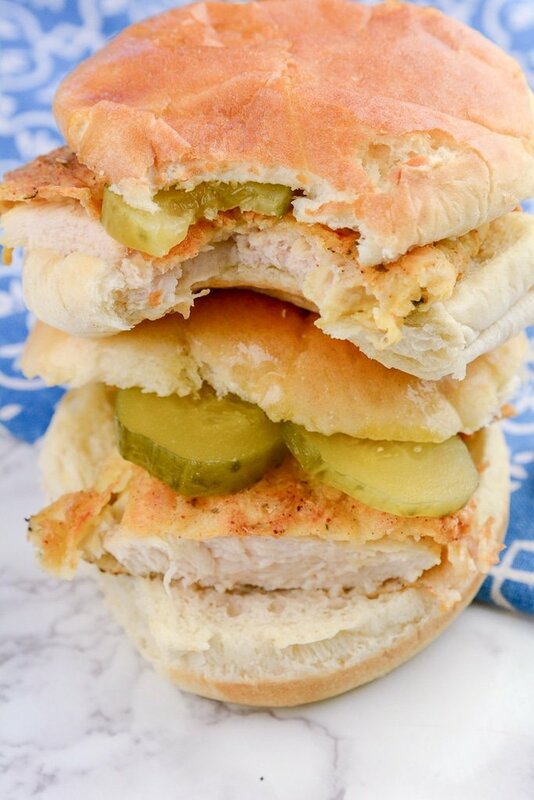 Give this recipe a try today, I think you all will fall head over heels for this juicy Copycat Chick Fil A Chicken Sandwich recipe! 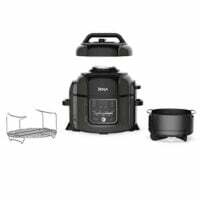 More Air Fryer and Ninja Foodi Recipes you may like are Ninja Foodi Egg Rolls, Cowboy Casserole, Taco Pie or even some chicken jerky treats for your dog. Cut Chicken breast into 4 pieces. 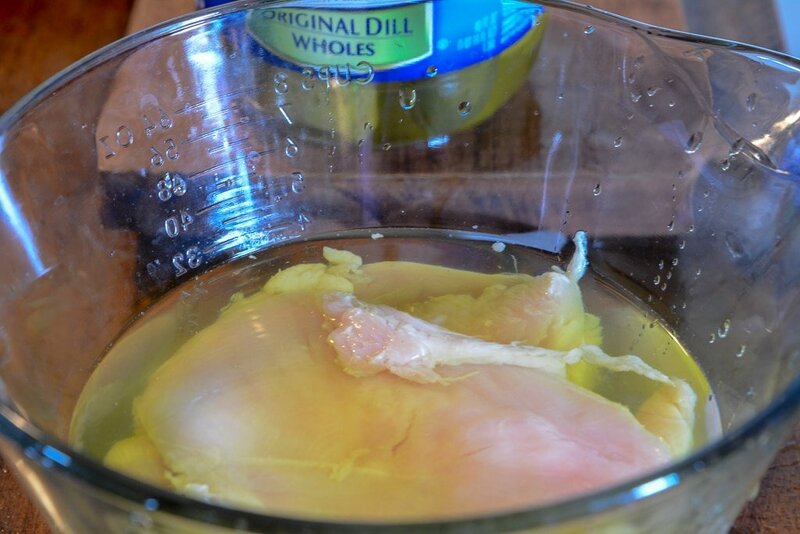 Marinate chicken breast in pickle juice for one hour. Dip chicken in flour mixture then egg. Dip back in flour until well coated with flour.